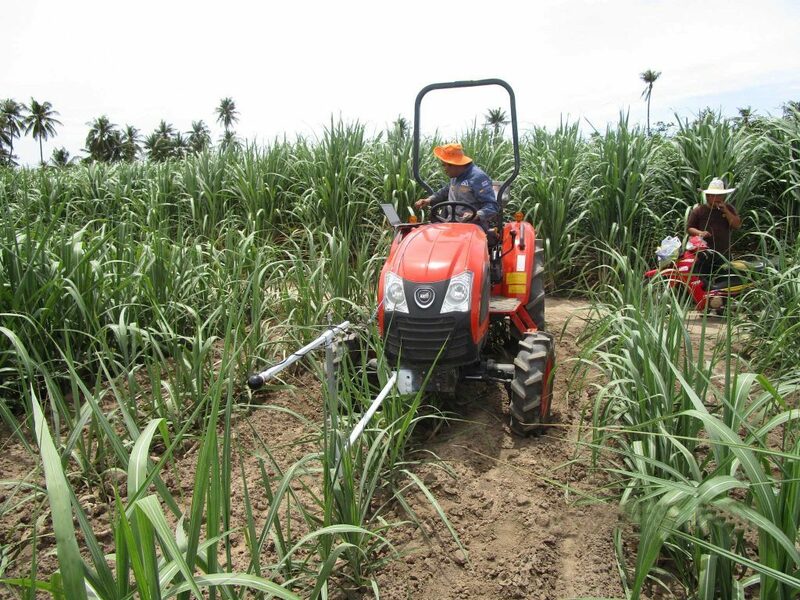 The precision fertilizer for sugarcane cultivation, using the image processing technique, the latest invention by Asst. 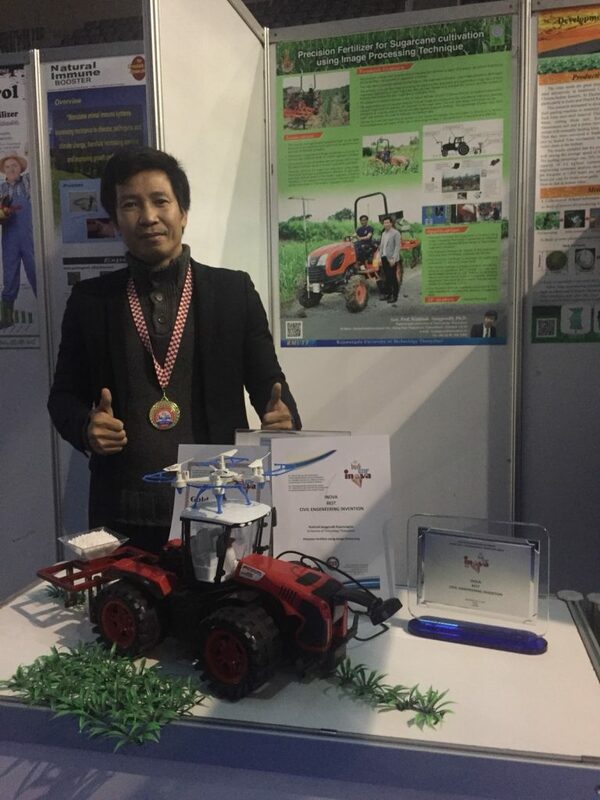 Prof. Dr. Kiattisak Sangkradit from RMUTT’s Department of Agricultural Engineering, Faculty of Engineering, and his research assistant Mr. Suriya Worawong, a graduate student in RMUTT’s Faculty of Engineering, have won a gold medal and special award – Inova best civil engineering invention, at Inova-Budi Uzor 2017’s 42nd International Invention Show held in Osijek, Croatia. Asst. 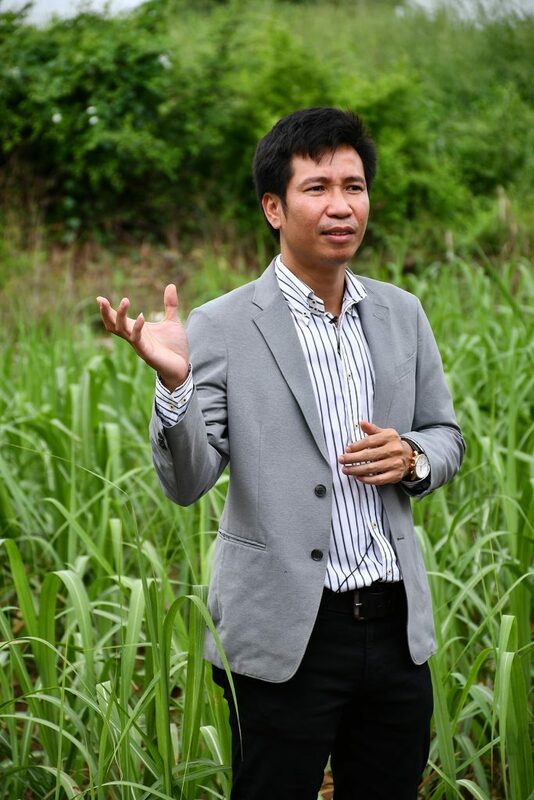 Prof. Dr. Kiattisak Sangkradit revealed that Thailand is the second largest exporter of sugar in the world, after Brazil. However, the cost of sugarcane and sugar production in Thailand is likely to trend upwards as sugarcane is a product under the World Trade Organization (WTO) tax agreement. 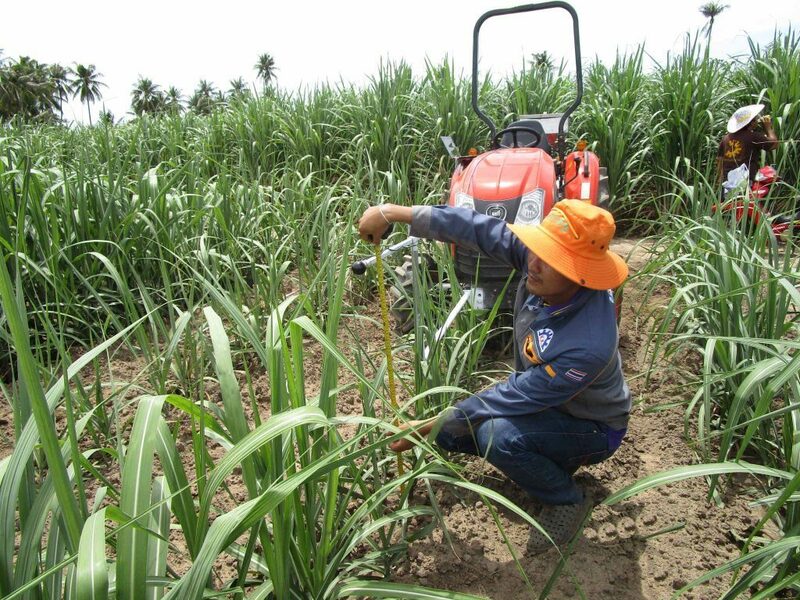 As a result, Thailand will have to increase the efficiency of its sugarcane and sugar production, and fertilizers will play a key role in increasing said production efficiency. To fertilize farms, farmers physically spread fertilizer next to sugarcane plants and apply a constant rate of fertilizer in every area, making it hard to adjust the volume of fertilizer. Currently, researchers are attempting to address this issue by developing a fertilizer spreader that is attached to a walking tractor, which contains fertilizer feeders on three locations on the walking tractor’s gear, and subsequently examine the most efficient technique to spread fertilizer to aid farmers. Moreover, the theory of fertilizer ratio adjustment was applied in oil palm farms in Germany, while an RFID-based method for agriculture was applied in Malaysia. 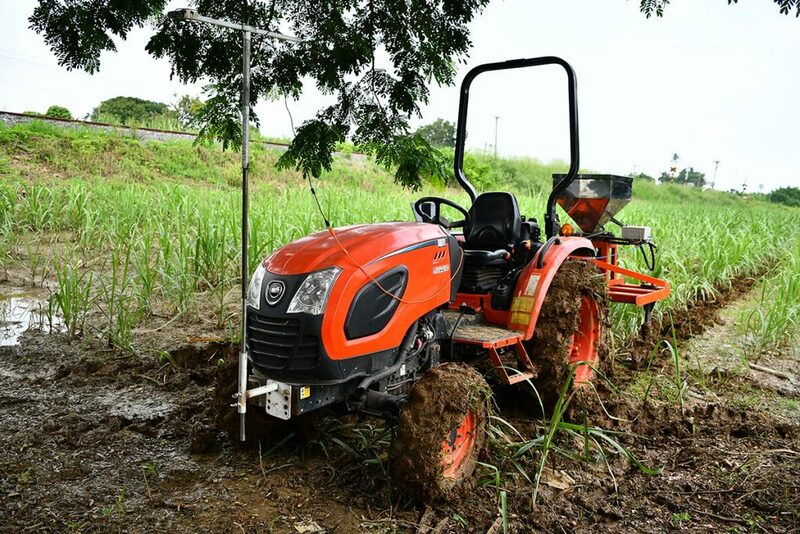 Researchers have applied these practices to develop highly accurate technology in agriculture to help apply fertilizer, with the main goal to manage fertilizer. 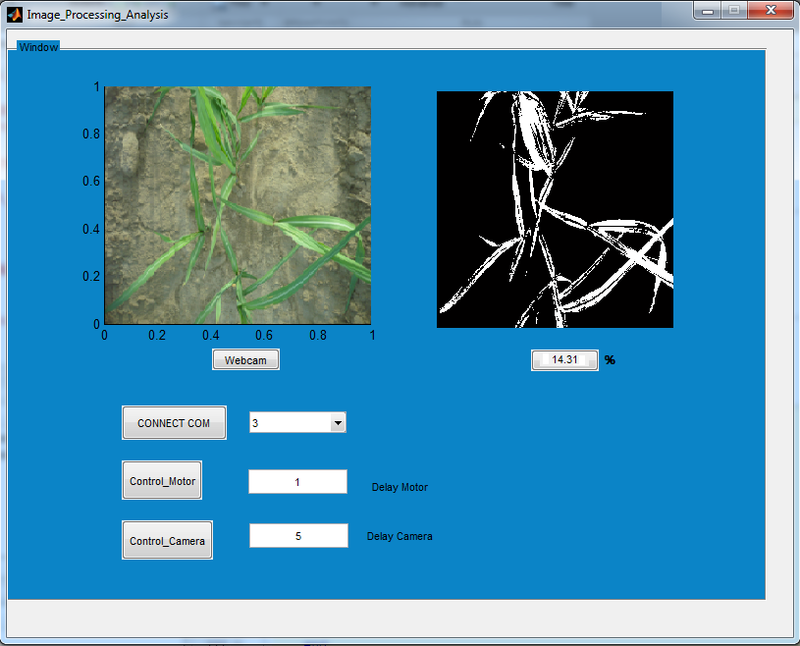 Using an image processing system, the image is processed using a computer, which is used to calculate the appropriate volume of fertilizer based on the green percentage of the plant. 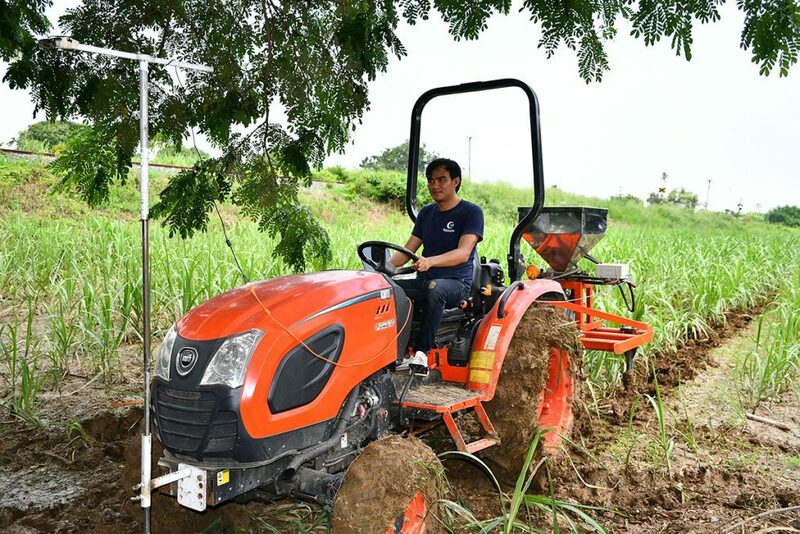 Then, the quantitative data is analyzed to develop a system that aids in processing and regulating the volume of fertilizer, which will help reduce the amount of fertilizer waste and sequentially reduce additional costs of producing sugarcane. 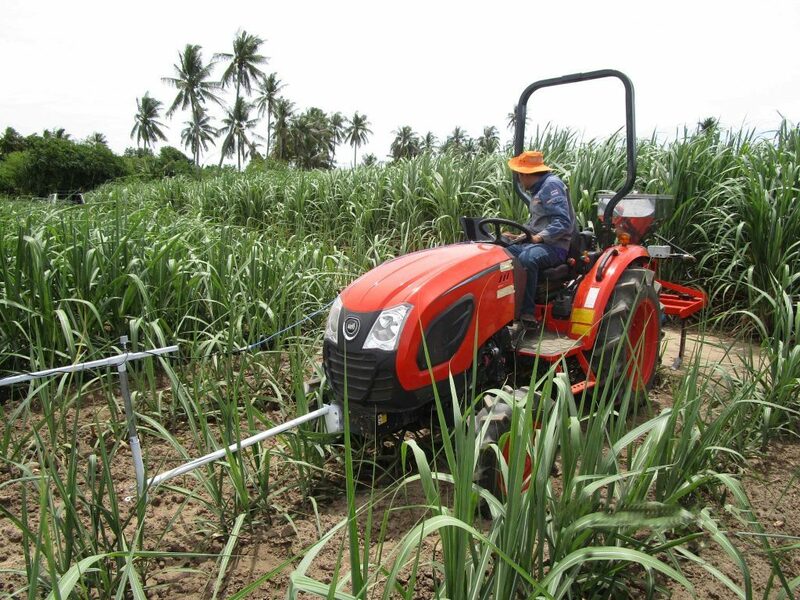 Thus, researchers have designed and developed a precision fertilizer for sugarcane cultivation using the image processing technique. 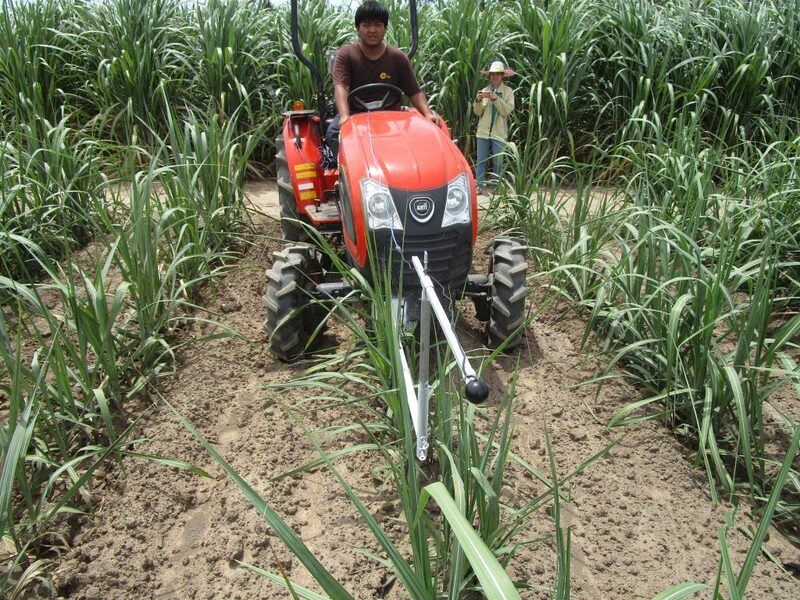 The precision fertilizer for sugarcane cultivation using the image processing technique is an invention that combines applications of agricultural engineering, control engineering, electrical/electronics engineering, mechanical engineering, and photography. This invention consists of a chisel plowing set, a fertilizer spreader set, a fertilizer control box, a webcam, a processor, and a computer. The webcam captures the shape of the plant and transmits the image to a computer. Then the processor sends the data set to the fertilizer control box to regulates the appropriate volume of fertilizer required for each plant or area. The webcam is mounted on the front of the tractor and the fertilizer spreader set and fertilizer control box is attached to the back of the tractor. The computer is installed in the tractor to make it easy for the operator to use. 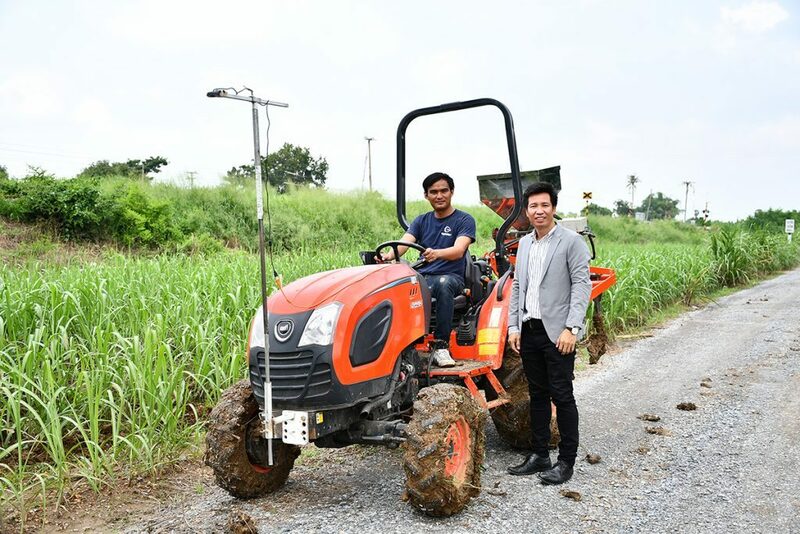 In addition, Mr. Suriya Worawong, a graduate student in RMUTT’s Faculty of Engineering, and a research assistant for this invention said that this research aims to increase the precision of fertilizer using image processing techniques. 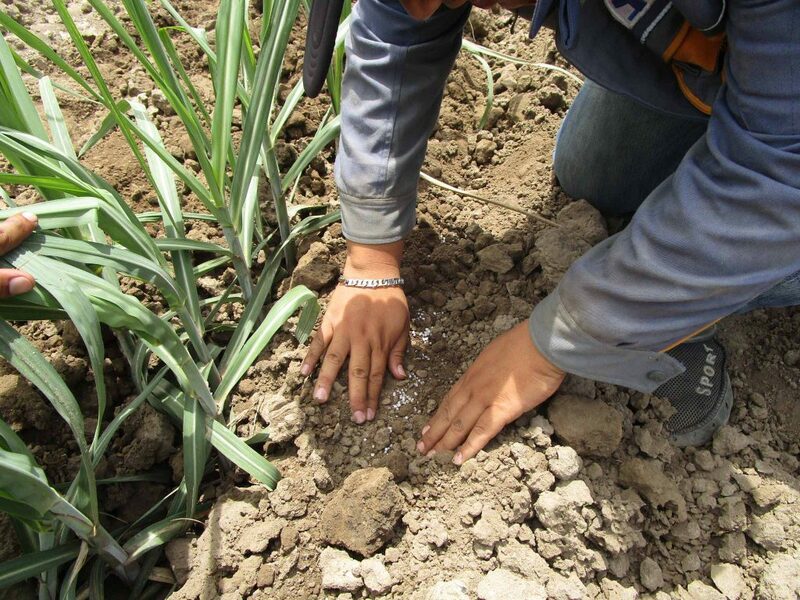 This invention will deploy the right volume of fertilizer according to the size of the plant. Small plants will receive a larger volume of fertilizer and larger plants will receive a smaller volume of fertilizer. In other words, the volume of fertilizer given will depend on the demands of the plant. The image will be processed to calculate the size of the plant via an algorithm, which has been tested, to determine the volume of fertilizer. 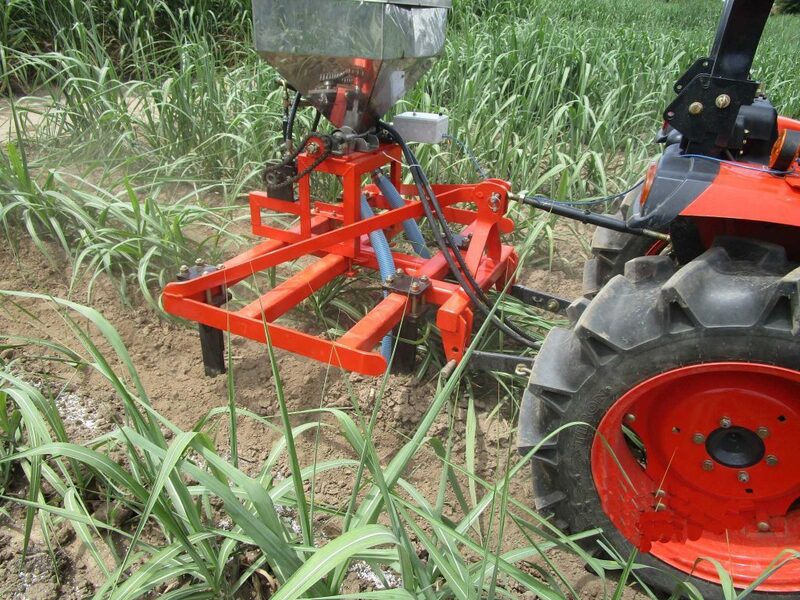 Moreover, the invention contains a fertilizer spreader, which regulates the volume of granular fertilizer, controlled via a hydraulic system in order to dispense the appropriate amount of fertilizer granules based on the processed image. 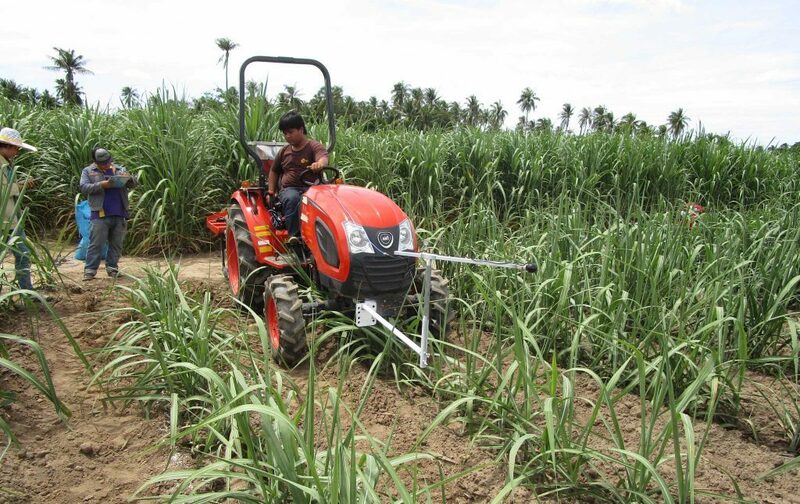 More importantly, the precision fertilizer for sugarcane cultivation can be installed on existing tractors to regulate the appropriate volume of fertilizer in each area as well as the suitable time it should be applied. 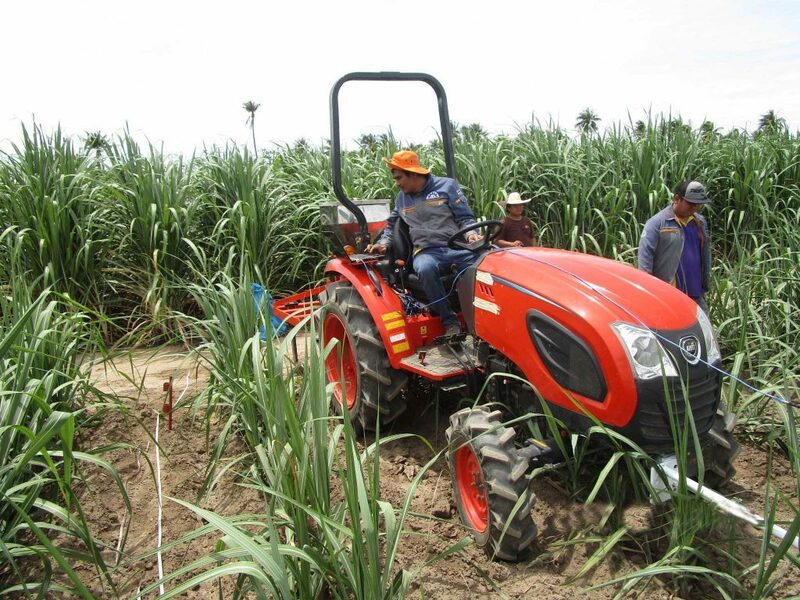 This will help decrease the amount of fertilizer waste and reduce additional costs of producing sugarcane. Although granular fertilizers are vital and used, efficiency in applying them may be enhanced as it currently does not often align with the demand of plants. However, as each area has a different mineral distribution, application of fertilizers should be more accurate. 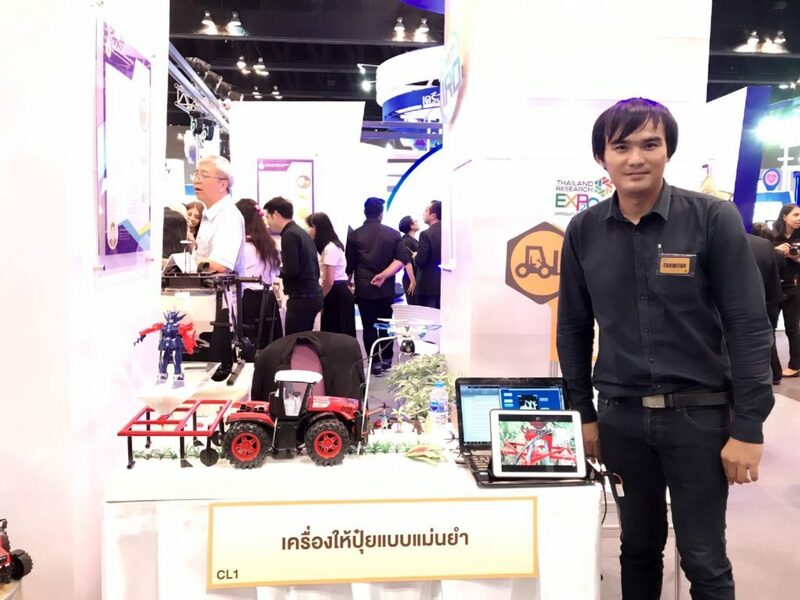 As it is highly probable that there will be a demand for this technology for commercialization, the research team have collaborated with private companies in Thailand to develop and manufacture this invention and introduce it to the market. For more information about this invention, please contact Asst. Prof. Dr. Kiattisak Sangkradit by calling 081-493-2489.